Matt Furey was born in a small town in Iowa, named Carroll. At eight years of age he began competing in swimming and wrestling and through dedicated practice became a champion in both. In 1981, Matt Furey was the state runner-up in the Class 3A Iowa High School State Wrestling Championships at 167-pounds. He attended The University of Iowa from 1981-1984, where he wrestled for Olympic Gold medalist, Dan Gable, and was a member of three national championship teams. In the fall of 1984, in order to help rebuild a doormat wrestling program, Furey transferred to Edinboro University of Pennsylvania, and in 1985 he won the NCAA II national title at 167-pounds, defeating two-time California state champion, Howard Lawson, in the finals. While at Edinboro he was coached by Mike DeAnna and two-time Olympic Gold Medalist Bruce Baumgartner. In February of 1987, Furey opened a personal training business for wrestlers and fitness enthusiasts. Most of the high school wrestlers he trained went on to wrestle in college. Furey began studying various martial arts in 1990 and immediately saw the physical, mental and philosophical links these arts had with wrestling. This lead to the publication of his first book and videos in 1996, entitled, The Martial Art of Wrestling. Also in 1996, Furey began competing in the ancient Chinese grappling art of Shuai-Chiao, the oldest style of kung fu. Furey’s teacher, Dr. Daniel Weng, a national champion from Taiwan, and a ninth-degree black belt, guided Furey to three national titles. During Christmas of 1997, Dr. Weng brought two U.S. teams to Beijing, China, to compete in the world championships. In Beijing, Furey won the gold medal at 90 KG (198-pounds), and was the only non-Chinese to win a title. In addition, Furey’s world title was historic because it marked the first time that an American had won a gold medal in any world kung fu competition held in China. 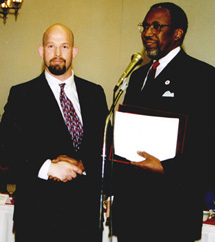 In the spring of 1998, Furey was inducted into the Edinboro University of Pennslyvania Athletic Hall of Fame. In 1999, Furey traveled to Tampa, Florida to train under the legendary Karl Gotch. Several months later Furey moved his family from California to Tampa, Florida, so he could train with Gotch full-time. Gotch taught Furey a treasure trove of knowledge on conditioning as well as the real professional style of wrestling, known as c atch-as-catch-can (catch wrestling). 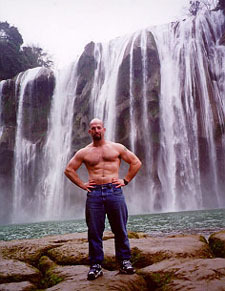 Furey’s unique experience as a Chinese kung fu and wrestling champion, earned him covers for Grappling, Inside Kung Fu, Karate Illustrated, Gladiator and Martial Arts Illustrated. In 2002, Grappling magazine dubbed Furey, “The King of Catch Wrestling” – and in the book Grappling Masters, Furey is one of 22 elite world class grapplers who are interviewed and featured. In 2010, Inside Kung Fu named Furey as their Hall of Fame Writer of the Year. Furey is also the author of the international best-selling Combat Conditioning, as well as Combat Abs, The Unbeatable Man, 101 Ways to Magnetize Money, The Fastest Way Humanly Possible to Burn Fat, Combat Stretching, Gama Fitness and Magnetic Mind Power. As President of The Psycho-Cybernetics Foundation, Furey is dedicated to spreading the teachings of Dr. Maxwell Maltz, author of the 30-million copy best-seller, Psycho-Cybernetics. Along with his wife and two children, Furey resides in Tampa, Florida and Hainan Island, China.